What are your income and credit qualifications? DIRECTIONS: Right off Roswell Rd South of I-285. The Whitney at Sandy Springs Apartments offer recently renovated one, two, and three bedroom floor plans. The kitchens in our apartment homes include a breakfast nook, granite countertops, refrigerator, and a dishwasher with garbage disposal. Our homes offer ceiling fans and high speed internet access, and are completely smoke free. Some units even include washer & dryer connections. 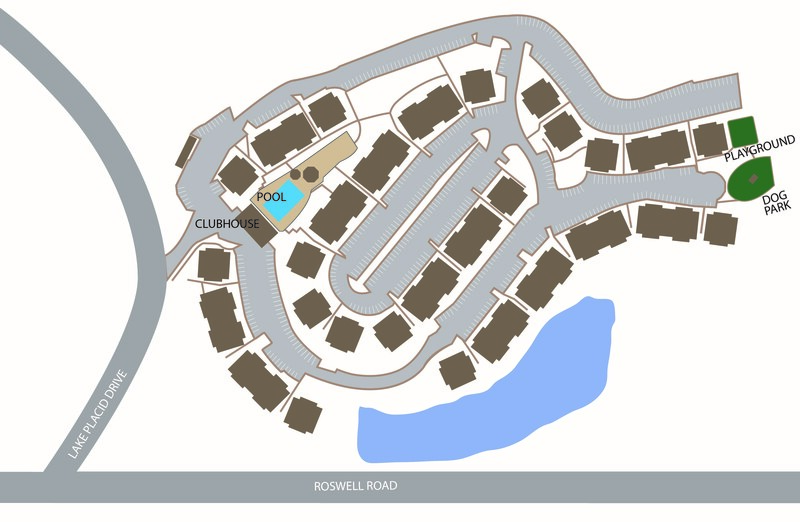 Our gated community has a variety of community amenities for you and your family to enjoy. Take advantage of the convenient business center and the laundry facility before enjoying a swim in our pool or an afternoon at the spa. Children love the playground and exercise enthusiasts will love the fitness center equipped with everything they could need. Our convenient location sets us apart from the competition. Enjoy easy access to Georgia 400 and I-285 plus a range of great restaurants and shopping experiences moments from our community. We are eager to welcome you, your pet, and your family home to our apartments in Sandy Springs—Schedule a visit today!